Home > Blog > Product Updates & Releases > The Worlds Shortest Magnetic Based Drill! The Worlds Shortest Magnetic Based Drill! 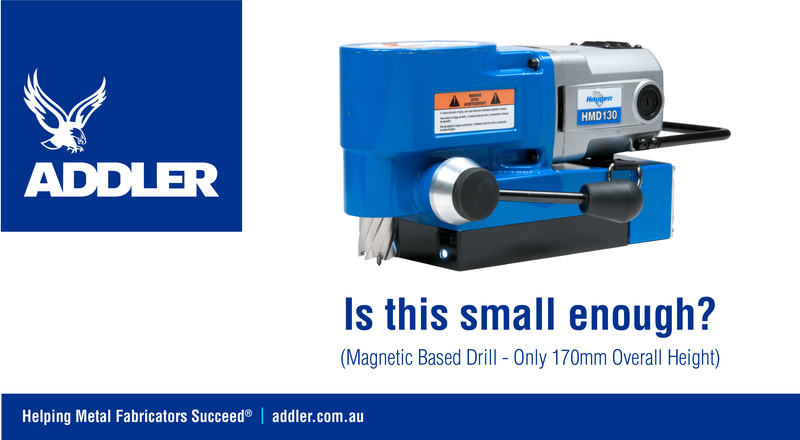 The Hougen HMD130 Magnetic Based drill is only 170mm high! This drill will fit in the tightest places allowing you to get the job done faster with less work. Product Updates & Releases Core Drills, Cutting Tools, Drilling, Metal Cutting, Metalworking Machinery. permalink. The Worlds most powerful Hot Saw!